Build and launch a personality quiz in about 15 minutes using ShortStack’s Personality Quiz Template. Plan a series of questions, answers and outcomes. Upload an image and/or text for each question, answer and outcome. Then publish and watch brand engagement skyrocket. Plan questions and outcomes that will help you learn about your customers. The most widely shared quizzes focus on desires and attributes. Learn from your customers where they’d like to go on their next vacation (desire) or which character on a popular TV show they identify with (attributes) to help you decide which products and services to offer in the future. Once people take your quiz, ask them to provide their email address before you reveal the results. Then use ShortStack’s sharing feature to encourage them to share the results with their friends. You can also enable ShortStack’s email autoresponder feature to send special offers and product recommendations right away. Use ShortStack’s analytics tools to understand real-time spikes in traffic, learn which campaigns generate the most views and shares, discover the best traffic sources and much more. Manage, export and analyze the data you collect from your customers. Then use it to hit your marketing goals. 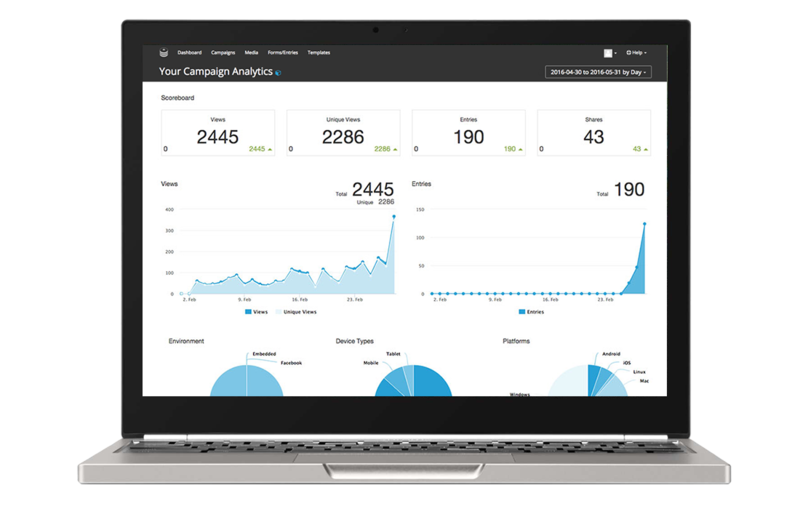 The campaigns you build using ShortStack can be totally customized. From fonts, colors and layout, to functions and domains, you have complete design control. You can also tailor our existing templates to complement your brand. Build your own Personality Quiz today! P.S. This landing page was built with with ShortStack!